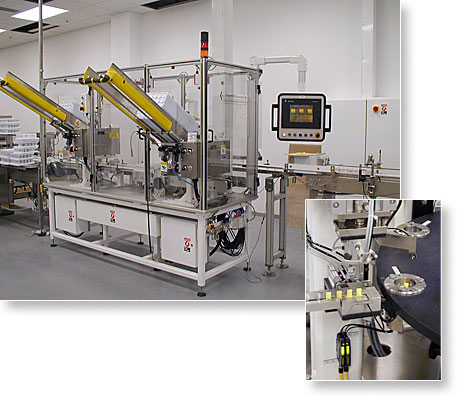 For over 18 years, for Fortune 500 companies as well as startups, on projects ranging from less than $10,000 to over $2,000,000 and encompassing numerous technologies and processes, we have developed some of the world’s best manufacturing and packaging equipment. Client projects are structured with a Program Manager and team of support engineers and technicians. Each Program Manager is solely focused on the design, programing, assembly, and debugging of each part of the system and final testing of the entire system at our facility. Each Program Manager is approved by and answers to Steve Zaniboni, President of Paquette & Associates. During his 25 years of experience manufacturing automated systems. Steve has performed almost every task related to manufacturing automated systems: draftsman, electrical technician, mechanical technician, field service, mechanical designer, project engineer, PLC programmer, and project manager. With 35 years of experience as an electrical and controls engineer, Dave has intimate knowledge of the electrical code and has the intense attention to detail required by top level electrical design. Dave is an expert in PLC programming and has worked with numerous devices, software packages, and communication protocols. Jeff is a talented mechanical engineer with skills in numerous disciplines. Although his main utilization is mechanical design, he is often called on for controls programming, electrical debug, and field service. Each of our engineers utilizes SolidWorks® and AutoCAD® for machine layout and design. In addition, we utilize a proprietary document control and bill of materials development software package to provide each engineer and client with the best project management tools possible. From power distribution through low power control, all Paquette & Associates electrical engineers follow NFPA 79 in designing electrical systems. All Paquette & Associates controls engineers are experienced in PLC control, motion control, operator interface programming, robotics, DeviceNet, Profibus, EtherNet, Ethernet I/P... to name a few. Closed loop methodology is used throughout the programming to ensure proper system control. Every technician at Paquette & Associates has a demonstrated history of excellence in electrical and mechanical assembly, machine setup, debug, troubleshooting, system installation, and on-site service.